While lots of you may travel away from Stirling during the holiday period, we know that some of you may choose to stay on or near campus. As the University will be closed from Saturday 22 December to Thursday 3 January 2019, we have accumulated a list of all services available on campus during this period. The Library will be opened according to the vacation opening hours below until 14 January, with the exception of Monday 24 December to Wednesday 2 January, when the Library will be closed. The Library returns to semester hours on 14 January. The Study Zone will remain open 24 hours 7 days a week with access to PCs, printers and group study facilities. When the Library is closed, books can be returned via the book drop to the right of the Library entrance. From the Portal, you will still be able to access your email, Canvas our eJournals and eBooks, A-Z of resources and Library subject guides. Our pals from the Stirling Students’ Union are closing for the festive period, with their offices being closed from 22 December to 7 January 2019. *The sports centre includes the following facilities: gym including strength and conditioning areas, studios, squash courts, tennis courts and sports hall. 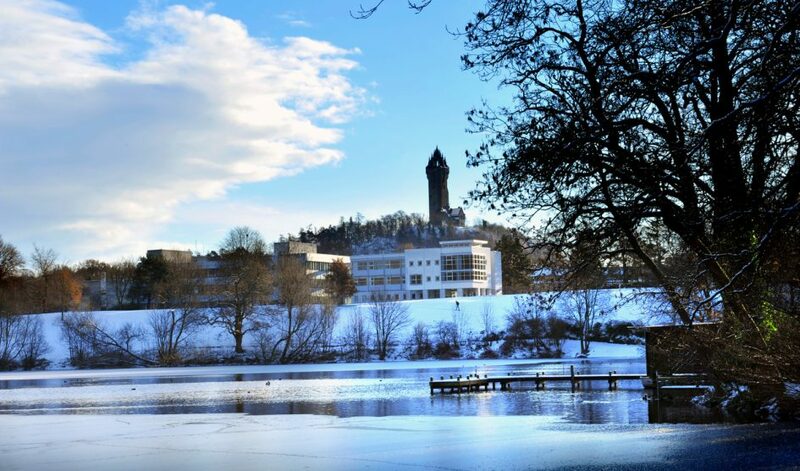 From everyone at the University of Stirling, we hope you have a wonderful festive break! See you in January 2018!